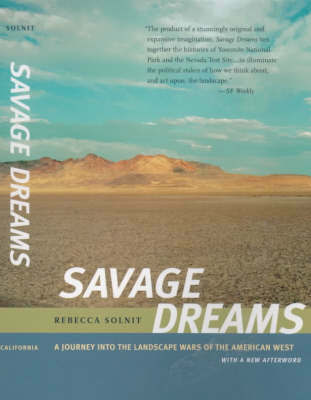 In 1851, a war began in what would become Yosemite National Park, a war against the indigenous inhabitants that has yet to come to a real conclusion. A century later - 1951 - and about a hundred and fifty miles away, another war began when the U. S. government started setting off nuclear bombs at the Nevada Test Site, in what was called a nuclear testing program but functioned as a war against the land and people of the Great Basin. "Savage Dreams" is an exploration of these two landscapes. Together they serve as our national Eden and Armageddon and offer up a lot of the history of the west, not only in terms of Indian and environmental wars, but in terms of the relationship between culture - the generation of beliefs and views - and its implementation as politics.